India is the world's largest cultivator and exporter of Basmati Rice. 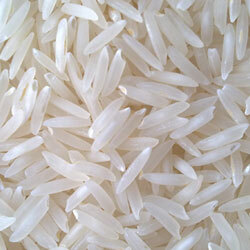 There are as many varieties of Rice and the best of them all - Their King - is The Indian Basmati. This rice, is a unique product, Its high nutritional value, low fat content, easy digestibility and, above all, its rich and distinct aroma bestows on it its enviable stature - as the World's Finest, and Most Prized of all Rice. Basmati Rice is primarily grown through paddy field farming in the most fertile fields in Punjab and other states of North India. Identifying Basmati rice has been likened to identifying of diamond, as it needs an understanding and appreciation of high taste. Basmati grains are shaped like a sword; and post cooking each grain elongates at least twice of its original size. The rich and unique aroma is another way by which one can identify true basmati rice.